Under Roberto Mancini Manchester City have signed players at the peak of their powers. They have not been scared to pay big money and they are working on a timeline which doesn’t seem to afford them time to develop younger players. City have given him the likes of Matija Nastasic, Scott Sinclair and Jack Rodwell recently but Mancini has tended to favour his more experienced players. With this in mind, I will only suggest the finished articles for them to look at. 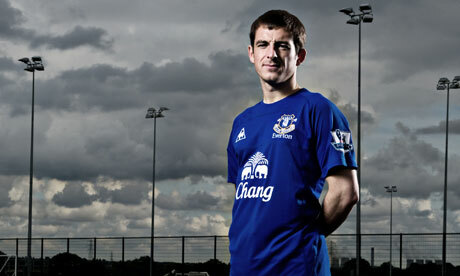 Scout Report A roving and buccaneering left-back, Baines is one of the most consistent players in the Premier League. 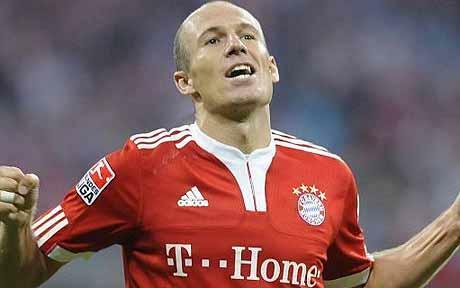 He rarely misses any game time and can take matches over from his position, which is a rare talent for a defender. His crossing is amongst the best in the league and he is defensively secure. How much? Probably not too much given Everton’s financial limitations. Something in the £15m region would probably suffice. Scout Report The complete midfielder, De Rossi brings an infectious determination to win and unwillingness to accept defeat. He intercepts the ball, makes tackles and scores goals. He is truly the all-around package. Where does he fit? De Rossi would be an enormous upgrade on the incumbents Gareth Barry and Javi Garcia alongside Yaya Toure. Mancini likes a team of men, of winners, and this is where De Rossi would fit. You wouldn’t see City overwhelmed under pressure as they have been at times this season. He would grab games by the scruff of the neck and shake up those around him. He also has the tactical acumen to move back in to a three-man defence should that system be deployed further. How much? 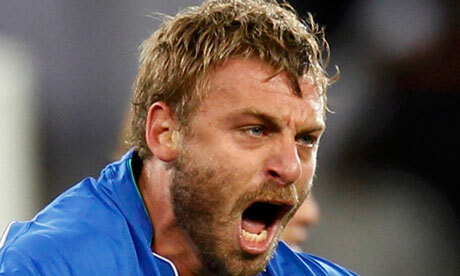 De Rossi is one of the premier midfielders in the world so would not come cheap. City would have to part with around £30m but they’ve made bigger deals than that in the past. Scout Report The arch penalty box poacher, Gomez has an incredible goal scoring record throughout his career. A big, strong, physical target man, Gomez spends his game on the last line of the defence and in the box sniffing out opportunities. Where does he fit? City could do with a striker who doesn’t fancy himself as a footballer. Yes Gomez has his limitations in terms of contribution to open play but City don’t need everyone to do that, they need a big lump who will put the ball in the net with the likes of Silva, Aguero, Nasri, Tevez and Yaya feeding an endless supply line of chances. City’s biggest problem this year has been chance-taking so they could just stick Gomez in and leave him to snaffle them up. How much? It’s almost impossible to imagine Gomez being part of Pep Guardiola’s plan for Bayern next year so he could be gettable. Surely a bid of around £20m would get this done. Scout Report Benat is attracting huge buzz in Spain. 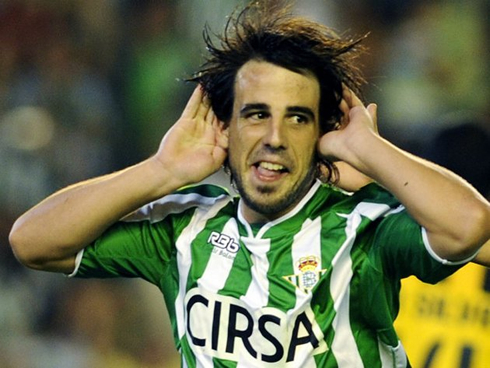 He is the conductor of the Betis midfield that has led the team up to a surprise sixth place in La Liga this season. If it wasn’t for Xavi, Benat could very well be strutting his stuff in the Spain midfield, such has been his impact. Benat can operate in a deep playmaking role or buzzing around an opposition box, threading intricate passes or dictating tempo. Where does he fit? City don’t have anyone like him. They don’t have a central midfielder who can take on the mantle of setting the tempo when in possession. Silva likes to operate further forward or wider and possession utilisation isn’t Yaya’s strong suit. Mancini tried to get his ilk with a brief experimentation with Claudio Pizarro last season so he is clearly open to the idea. How much? Betis wouldn’t be in a position to turn down £10m. Scout Report Dede is a 24-year-old central defender with a crunching tackle who is aerially dominant. He also has an ability to carry the ball forward from defence and play penetrating passes. He is quick enough and incredibly strong. Regarded as the best defender in Brazil locally. Where does he fit? The spot next to Kompany has been a revolving door this year. The solidity of last year has gone and they defended poorly in Europe particularly. Dede can be purchased and if Mancini resists the urge to tinker, left to settle in next to Kompany. 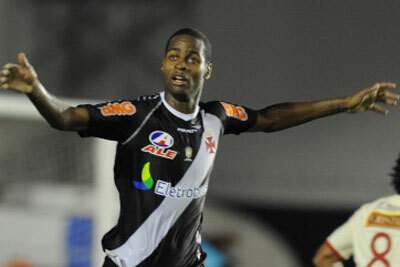 The Belgian is the ideal defender to come in next to, which would give Dede a chance to adapt and thrive. His physique is ideal for England and for City who like big defenders. How much? Buying from Brazil isn’t as easy as it used to be so this would surely cost £12m plus. Bayern Munich have a date with destiny this Saturday as they face Chelsea in the Champions League final. The Bavarian side have been eyeing this year’s tournament since the venue of the Allianz Arena was decided, and smart football betting tips have the Germans as favourites. Despite a determined opponent in the form of Roberto Di Matteo’s men, here are five reasons why the Bundesliga giants should be victorious. The chance to play a major final at home is an overwhelming advantage, and the German side will look to make the most of this fact. Jupp Heynckes’ men have been imperious at the Allianz Arena this term in Europe, winning all their fixtures at home, including victories over Manchester City, Napoli, Real Madrid and a 7-0 mauling of Basel. 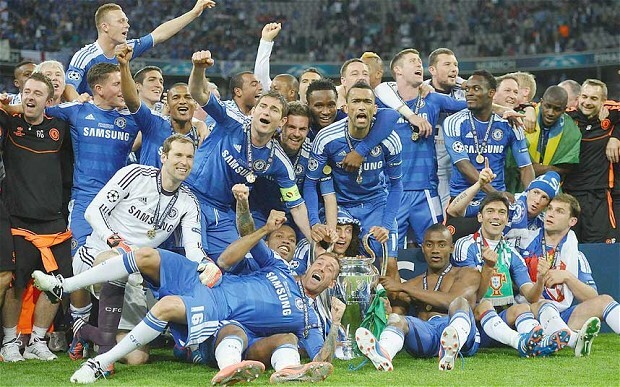 Chelsea have been determined in defence this season, thwarting the likes of Barcelona in getting to the final. However the Blues’ backline will be severely depleted for the game against Bayern. John Terry was shown a red card against the Spanish giants in the semi-finals and thus will be unavailable, and Branislav Ivanovic, arguably the side’s best defender, is also suspended. Finals are often cagey affairs, with the odd goal deciding the fixture in one side’s favour. The predatory and clinical nature of Bayern centre forward Mario Gomez could well be the difference between the teams, as the Germany international looks to continue his rich vein of form. The hitman finished with 26 goals in the Bundesliga this term and with 12 strikes in Europe, Gomez has proved himself as one of the continent’s most lethal marksmen. Due to Borussia Dortmund’s domestic dominance in the Bundesliga and DFB Pokal, Bayern quite simply must win to salvage their season and avoid two trophyless campaigns. Being crowned as European champions would be sure to take some of the limelight away from Jurgen Klopp’s men and give Die Roten’s fanbase something to cheer about. With two evenly-matched sides competing in this year’s finale, there is every chance that the victors could be decided on penalties. 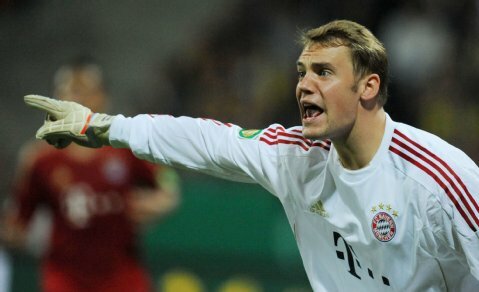 German sides have an enviable record of success when it comes to spot-kicks, especially against English teams, and in Manuel Neuer the hosts have an excellent shot-stopper. Given Bayern’s elimination of Real Madrid on penalties in the semi-finals, and the Blues defeat to Manchester United in the 2008 final, the Germans would fancy their chances if it went down to this stage. An unlikely Champions League final of Bayern Munich vs Chelsea is set to be played at the Allianz Arena on May 19th, as the sides have both proved their worth to overcome underdogs tags to make the final. But how have these two sides managed to get to the final? 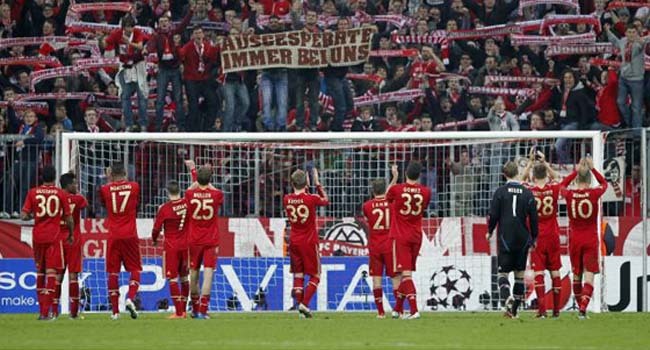 After the naming of the Allianz Arena as the venue for the 2011-12 final, all Bayern eyes have been on this campaign, which has been rightly earmarked as a potential opportunity to end their 11-year drought in winning Europe’s top tournament. With the Bundesliga also a priority but now conceded once more to Borussia Dortmund, the chance of becoming European champions has the ability to redeem the club’s season. The German team were drawn in the ‘group of death’ along with Manchester City, Napoli and Villarreal, but stellar home form saw Die Roten top the pool. A 2-0 win over the Premier League team set the tone for the group, whilst a hard-fought 3-2 victory over Napoli ensured that the Germans would be dominant. Despite losing their final game at the Etihad Stadium once qualification was already ensured, Bayern’s professionalism and quality in the pool must be admired. After flexing their European muscles in the pool, the knockout stages has been a story of the club’s determination to reach the final. After a 1-0 defeat to Basel in Switzerland in the first leg of the last 16, doubts over Jupp Heynckes’ men’s credentials were raised and duly squashed with an unprecedented 7-0 triumph in the reverse fixture. The Germans were drawn against an underperforming Marseille in the quarter-finals, and despite the mediocrity of the opponent, a 4-0 aggregate win must be admired. Real Madrid in the semi-finals was the Bundesliga team’s real test, and over 210 minutes of football and penalty kicks, Bayern proved that they wanted victory more. An attacking outlook in the first game at home had Los Blancos on the back foot, and a plucky last-minute Mario Gomez goal gave them an advantage at half way of the tie. Within 14 minutes of the game at the Santiago Bernabeu fixture the Bavarians found themselves 2-0 down, but the side fought back to 2-1 and eventually won the tie on penalties. All-in-all, Bayern are a more assured and rounded team than last season, and have had to fight back from difficult positions at times throughout the campaign. In Mario Gomez the side have a forward always liable to pop up with a goal, especially given the quality supply of Franck Ribery and Arjen Robben. The main development from last term however has been a steadying of the backline, with the summer additions of Jerome Boateng and Manuel Neuer now looked like excellent business. Add this all-rounded team to a frightening home record (they have won every game this season at the Allianz Arena) and Bayern will take some stopping. Chelsea have been two contrasting teams in the Champions League this term; one under Andre Villas Boas and one under Roberto Di Matteo. The Italian has rekindled the side’s belief, and ultimately been the man responsible for getting the west Londoners to the final hurdle. The Blues topped Group E, comprising Bayer Leverkusen, Valencia and Genk, despite a number of shaky moments. A 2-1 defeat to the Germans at the BayArena and a 0-0 draw with the Belgians away from home failed to inspire, but the English team did win all three home games, scoring 10 unanswered goals in the process. A last 16 tie with Napoli, Manchester City’s conquerors, promised to be an exciting match-up and did not disappoint. After being thoroughly outplayed and beaten 3-1 at San Paolo, Villas Boas was replaced by Di Matteo, whose side staged a remarkable and unlikely comeback to beat the Italians 4-1 at Stamford Bridge in the return leg. This was undoubtedly the turning point of the Blues’ season, and the springboard that sees them in the final. A potential banana-skin tie awaited Chelsea in the quarter-finals, as Benfica, who progressed through their group at the expense of Manchester United, would prove no pushovers. However, an assured performance at the Estadio da Luz saw a 1-0 win for the Premier League outfit, who huffed and puffed to win the return fixture 2-1 also. 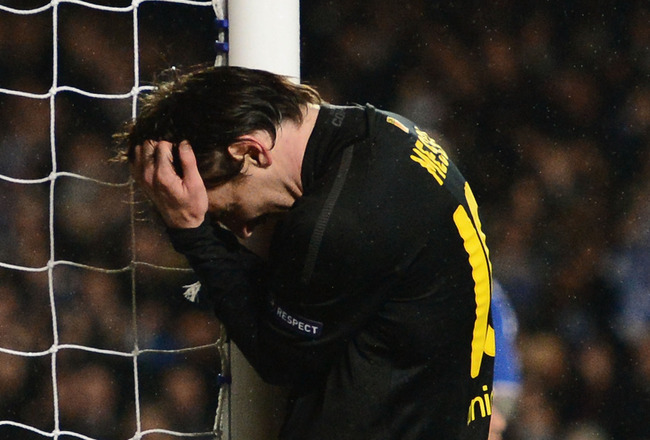 Brave team selection in the away leg by Di Matteo reaped benefits, and set up a semi-final with Barcelona. Chelsea had unfinished business against the Catalan giants after previous close calls, and over 180 minutes rode their luck but ultimately did what it took to make the final. Despite being outplayed in the first leg, a 1-0 victory courtesy of a solitary Didier Drogba strike gave the Blues the slimmest of advantages to take to Camp Nou. After 44 minutes of the second leg Chelsea were staring down the barrel: trailing 2-0 and down to ten men after John Terry’s dismissal. However, a deft Ramires chip, stern defensive effort and last-gasp Fernando Torres strike offered up a memorable night for the travelling support. Over the course of the campaign it is difficult to pick out individuals who have inspired their team to progression, as the upturn in fortunes must be accredited to a collective team effort. Undoubtedly Chelsea’s senior players have led this, and Didier Drogba, out of contract in the summer and facing an exit from the club, must get credit for his goals and leading from the front. Di Matteo’s tactics and man management must also be heralded, and the Italian must surely be given a permanent place on the Stamford Bridge hotseat should his team defeat Bayern in the final. 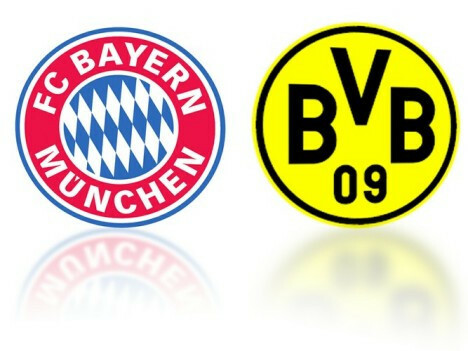 At times with more grit than guile, Bayern and Chelsea deserve their places in what should be a blood and thunder final. The Bavarians have an exemplary home record, but on current form, if anyone can beat them at the Allianz Arena it may well be the west London outfit.